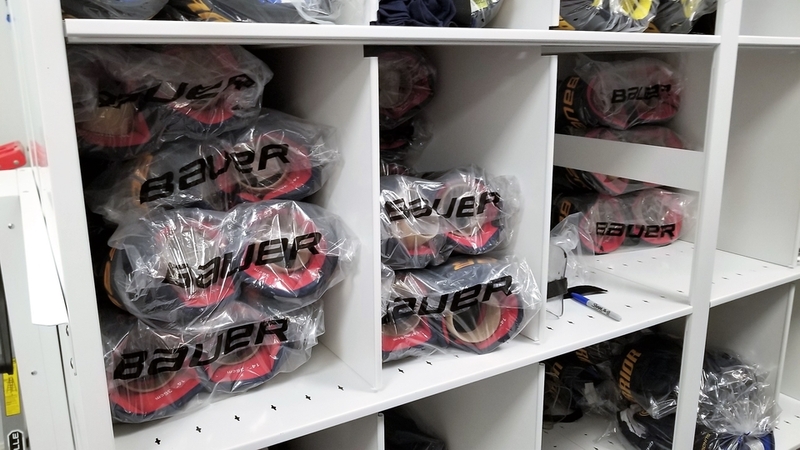 Making Space for Player Equipment & Fan Gear! 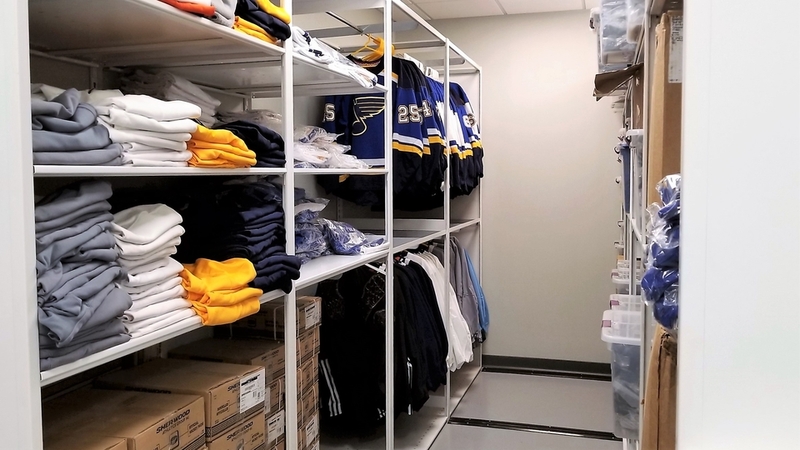 As with most tasks, staying organized can save time, money and important energy – especially if you’re about to hit the ice – so it’s very important that everything have a place (and the space for it). 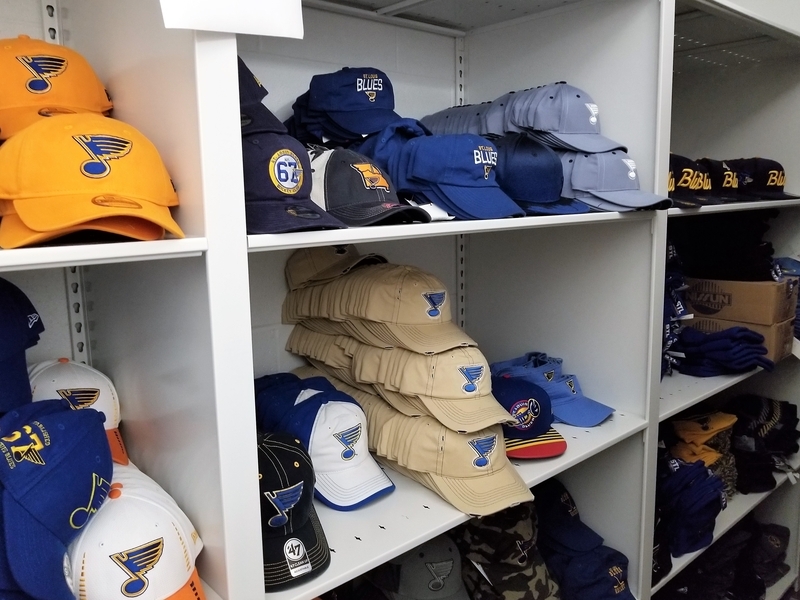 Like most popular teams across athletics, St. Louis Blues fans love their gear and more was required to keep up with the demand! 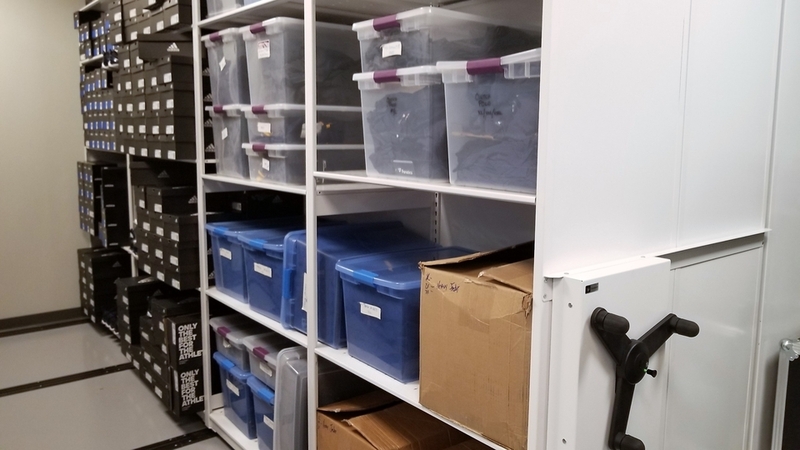 Both of these storage and organization issues needed a keen eye for optimizing space and finding ways to create more – that’s where we came in. 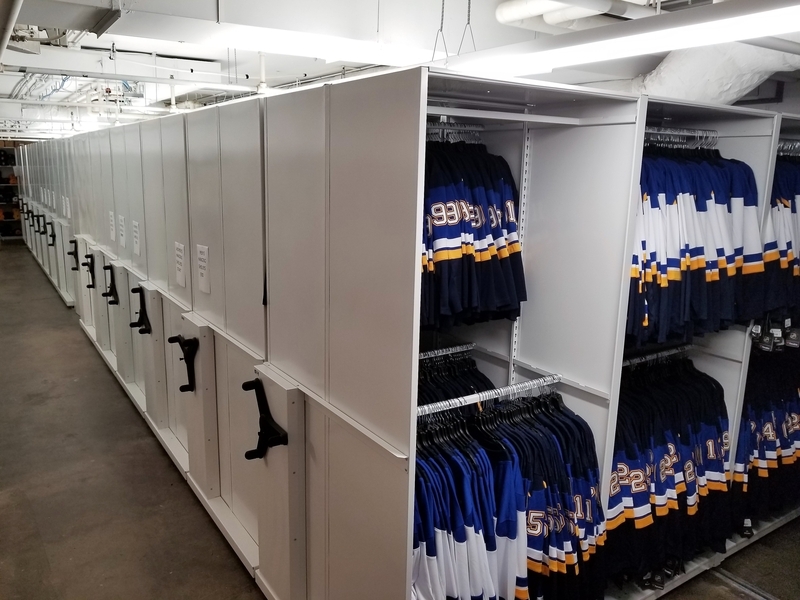 In order to tackle how to better organize the hockey equipment and the retail storage area, effectively giving them more capacity, we worked closely with the architect on the project. 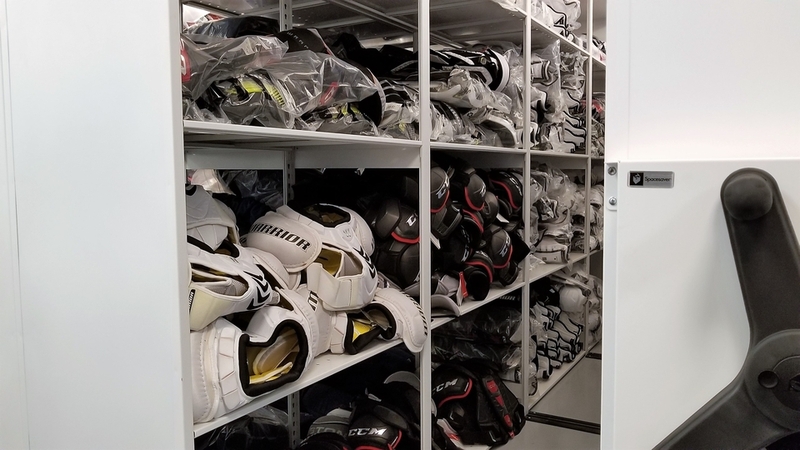 With his rough design as a starting point, we were able to develop an efficient and effective storage solution for the hockey equipment. 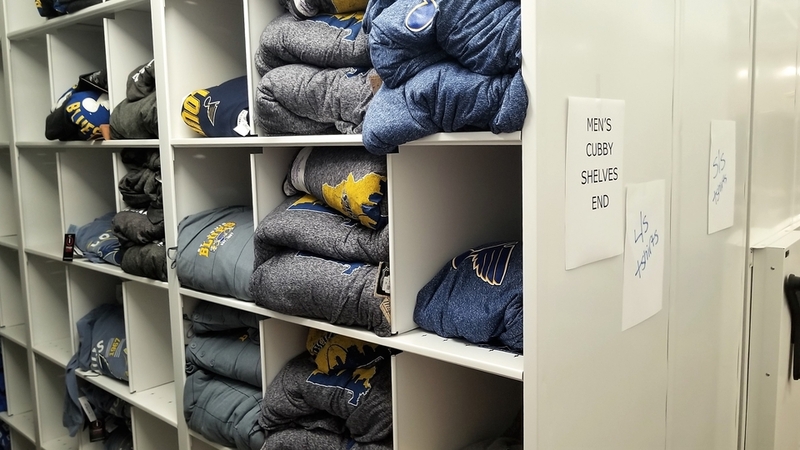 After seeing the results, the design was duplicated for the retail storage area. 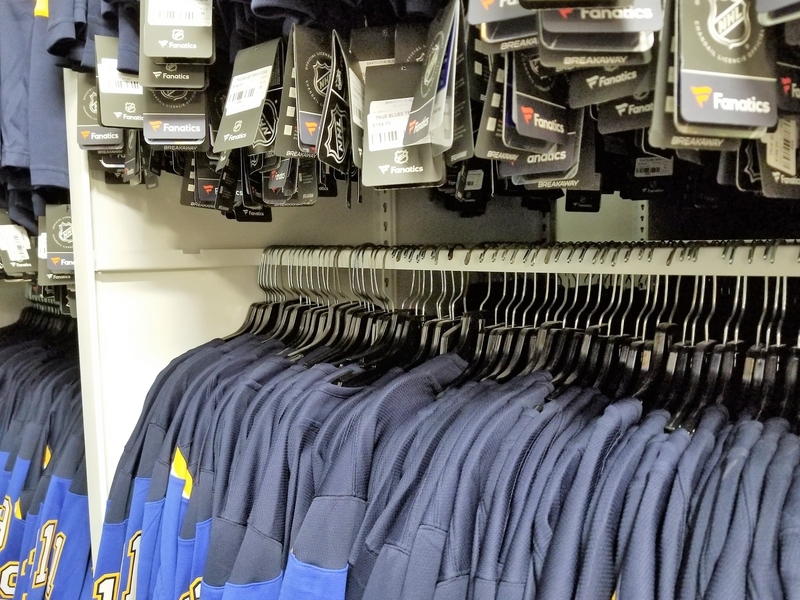 Detailed planning and collaboration allowed us to complete the retail system within a specific amount of time to allow the retail department to continue working without interruption. 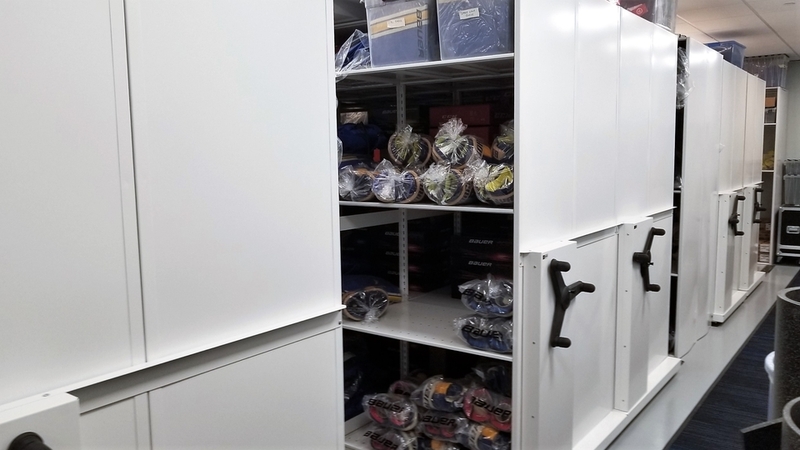 Our solutions for both storage issues included the installation of SpaceSaver’s Wheelhouse System with Floor-less Rails and Mechanical Assist (to easily move the shelves). 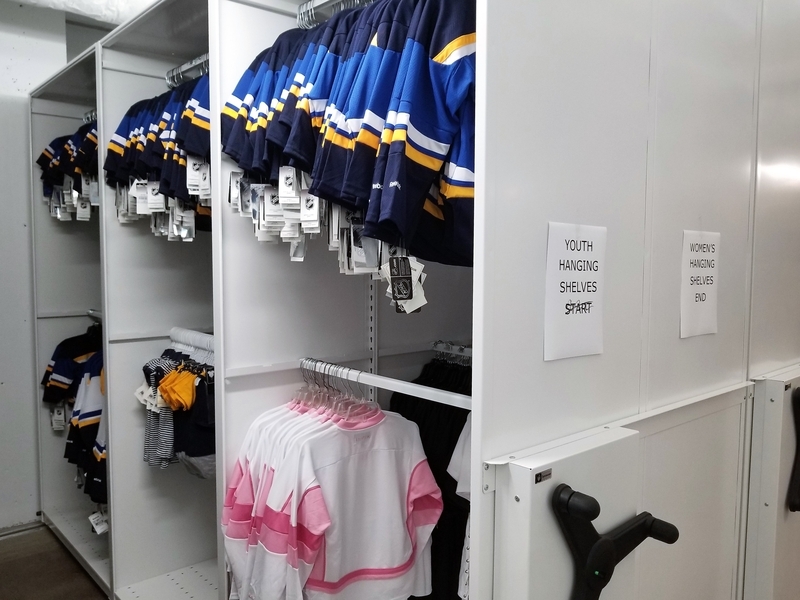 Both systems included the addition of cubbies and hanging storage as well as shelves for multiple tub and box sizes. 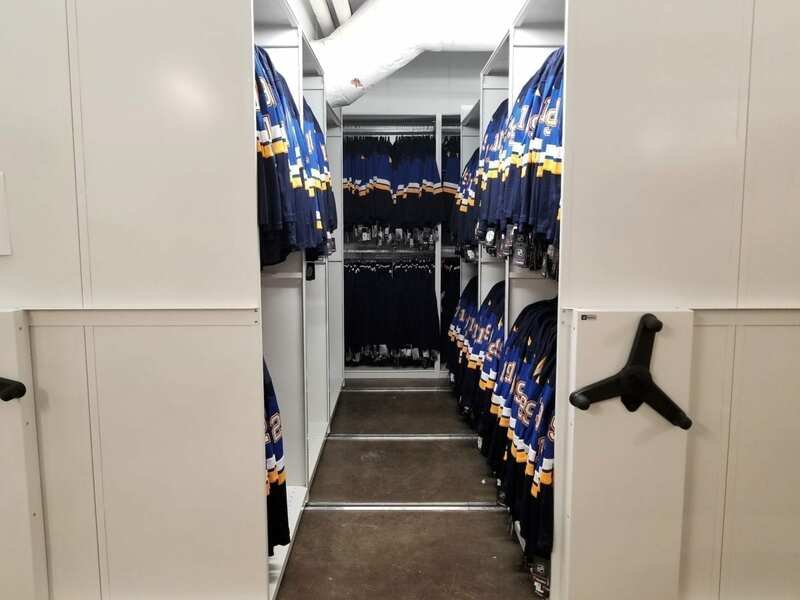 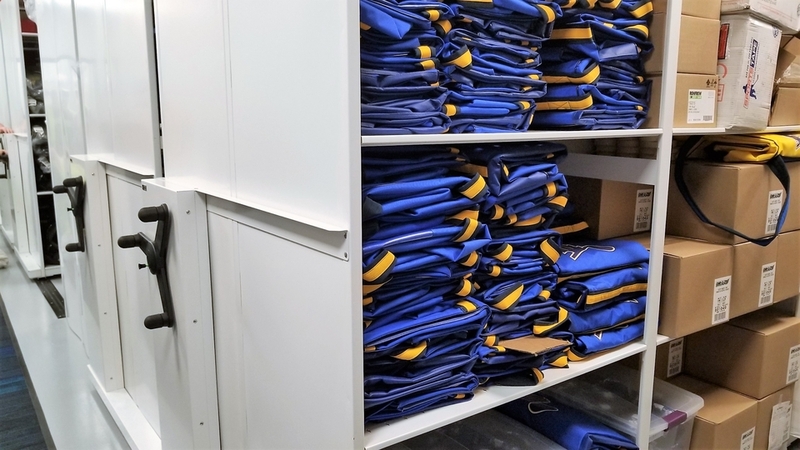 With these changes, we were able to easily double the retail capacity and, according to Joel Farnsworth (St. Louis Blues Equipment Manager) the system has helped store more St. Louis Blues equipment than ever – and they want more!